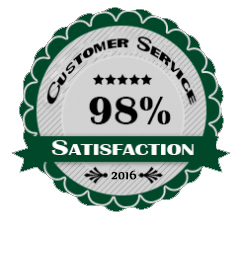 98% of Customers Satisfied with VIP! Throughout 2016, we asked our customers how we did when it came to providing the services they expected with VIP Mortgage. The results are in and 98% were satisfied! We’ll proudly take nearly perfect! Thank you to all of our customers for trusting us with your mortgage transactions. In 2017, VIP Mortgage continues to be committed to guiding our customers through the mortgage process. Thank you for your trust in us.